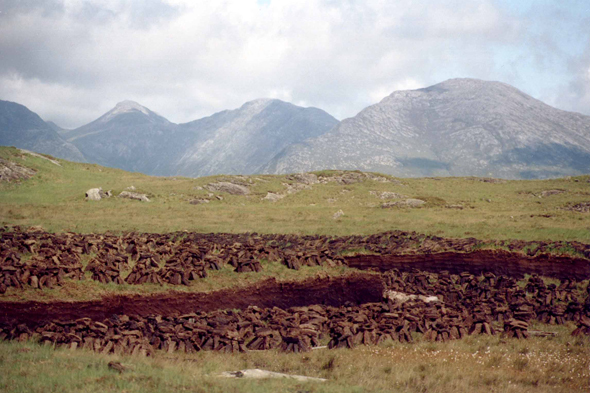 Peat bogs in Connemara. Thanks to the slow industrial development, Ireland was not confronted yet with the problem of the pollution of the environment. But to attract the investors, the laws as regards environment are limited at least. In fact, tourism could stimulate the installation of protection measures of the environment.